Meso-Btox, the ‘NO NEEDLE’ alternative for those who don't like needles! Highly effective, instant results, totally non invasive. One of a series of non injectable Mesotherapy clinical grade products and treatment procedures from Advanced Skin Technologies available at Susan Brookes Laser & Beauty Clinic. A warm disc application treatment that is firstly used to open surface skin pores. Thermotherapy is used to prepare the skin for treatment whilst also improving blood circulation and accelerating the absorption process of vital nutrients contained within the Aesthetic Mesotherapy products used during the treatment procedure. A non-invasive method of rejuvenation by means of mechanical exfoliation without the use of crystals, chemicals or laser. The Cryoderm System ensures the safe and controlled removal of the surface skin as it is much less aggressive than crystal based treatments. By gently working away tired aged surface skin layers you are enabling new skin cell regeneration which can dramatically improve surface skin texture and appearance, leaving skin looking rejuvenated and radiant whilst, at the same time, reducing fine lines and wrinkles. Exfoliation happens gradually and the diamond tip heads are available in 3 different grades making the treatment suitable for all skin types regardless of sensitivity levels. Uses ultra sonic vibrations that vibrate at 300 million times per second. The ultra sound waveform stimulates the skin tissue and improves the permeability of the cell membrane which also improves and increases collagen production. 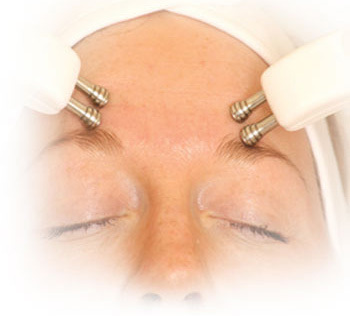 This treatment also improves the appearance of fine lines and wrinkles. Ultra sound also generates frictional heat that will improve blood circulation, relax muscles and break down the fatty deposits to reduce cellulite. Ultra sound is a very effective treatment when using various active ingredients as it will help the infusion of the product deep into the dermal layers of the skin much deeper than most standard galvanic systems. This cold attachment is applied onto the skin surface closing skin pores and sealing the products within the areas treated. More importantly cryotherapy treatment slows down the metabolism of the skin allowing the products to be contained for a much longer period of time ensuring that the client is receiving the full benefits of the products and maximum results. By combining Ultrasonic technology on the Cryoderm system with our exclusive range of Aesthetic Mesotherapy Products, clients can experience a range of totally non-invasive, ‘no needle’ Mesotherapy treatments. Ultra sound acts as a delivery mechanism for the active ingredients, pushing product through the dermal layers of the skin without the use of a needle. In turn it will temporarily allow the cell membranes to become permeable allowing the cell to absorb the vital nutrients contained within each active ingredient. This technology allows the beautician/Aesthetician to perform a Transdermal infusion of products designed and formulated to create a no needle version of Mesotherapy. Glycolic Acid Peels can bring great benefits to the skin and have been used successfully on many thousands of people. • Assists to resolve photo-damaged skin (sun damage) acne and scar reduction premature and premature aging. • Significantly reduces the appearance of fine lines and wrinkles, stimulates collagen and elastin. • Produces dramatic changes with virtually no erythema or recovery period. A Crystal peel treatment for a deep exfoliation of the skin increasing cell renewal and extracting congestion. What is Non-surgical Deep Peeling? This is a safe, effective, non-aggressive deep peeling system. Easy to apply, it can be used wherever and whenever, even during the hottest periods and countries without any side effect. The uniqueness of the system is guaranteed by a patented poly-alcoholic colloidal polymer, excellent to help substances to penetrate in depth and to be released slowly. The system is known for its effective synergy of revitalizing, exfoliating, antioxidant active principles. A special exfoliating and stabilizing polymeric emulsion thanks to the presence of Lactic, Salicilic and Glicolic Acids. It permits a deep exfoliation without traumatizing the treated skin. This products uniqueness is guaranteed by Retinol in form of Retinol Molecular Fluid. This particular Retinol release system is a molecular film, a very thin, monolayer functional film that penetrates very well into skin helping the cutaneous absorption of vitamin F. It improves cutaneous cells renewal, assures skin functions’ preservance and prevents skin ageing. Retinol incorporation into the release system of molecular film assures a complete stabilization without the oxidation of Retinol molecule. A synergy action combined with nourishing and revitalizing effects thanks to the presence of the Vitamins A, B, E, F and Caviar Oil. Poly-alcoholic nourishing solution containing filmogene and antioxidant properties. Its smoothing action is made complete by the Lypoic and Lactic acids in synergy with the revolutionary acid MCA. The presence of Retinol contributes to increase fibroblasts’ production of collagen. The product has a tampon action on exfoliating properties and at the same time, permits a gradual release of the active principles to get their better and omogeneous penetration. The solution is contained in disposable syringes in orde to improve the products’ s preservation and make its application easy. It is a “slow release” system which allows a simultaneous use of an exfoliating cream, acting on superficial layers, and of a diluted polymeric solution. While turning itself into an easy removable film, this solution releases nourishing substances and gives rise to a plain “lift” effect. The Bio-Brasion treatment diminishes lines and wrinkles achieving a smooth, radiant, glowing skin ready to absorb bt Ceuticals products. • Utilising bT Ceuticals Skincare working in synergy to maximise results. Microdermabrasion is now one of the most popular skin rejuvenations treatments performed by skin care professionals, surgeons, aestheticians, and spas all over the world. Microdermabrasion is a safe, non-aggressive, non-abrasive non-surgical exfoliating treatment performed to remove skin imperfections through increased stimulation, circulation and production of new and healthy skin cells. The result is fresher, healthier and younger looking skin with a smooth texture and a silky touch. 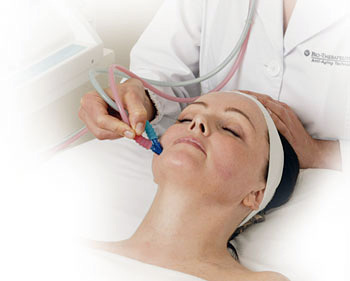 Microdermabrasion is beneficial for both young and mature skin and is safe for all skin types. Microdermabrasion can be successfully used on light or dark skin to treat the face, neck, chest, arms, elbows, knees and hands. It is ideal for both men and women seeking to turn back the effects of time and desiring healthy, younger looking skin. You can now experience the rejuvenating peel chosen by celebrities Worldwide without the need for a movie star’s budget! • Microdermabrasion is an excellent procedure for cleaning any superficial irregularities. • Refreshes weathered skin and improves dull or uneven skin color. • Reduces the appearance of fine lines, wrinkles, and stretch marks. • Refines the appearance of fine, creepy lines and large pores. • Treats acne and acne scarring, chickenpox scars and scratch marks. • Treats age spots and other pigmentation problems. • Treats sun damage and hyper pigmentation. • Treats congested skin, enlarged pores and blemishes. • Relieves clogged pores and blackheads. • Softens general roughness or thickened patches of dead skin (e.g. elbows, hands, knees, & feet). provides a high performance anti-ageing technology. Part of the Complete Anti-Aging Solution. From wrinkle reduction injections such as Botox for smoothing out of those crows feet and frown lines to Restylane® treatments to fill out static lines around the face and also to enhance the lips. With wrinkle reduction treatments such as Botox you can have a fresher, increasingly relaxed look. The results can last for many months and can help to increase confidence in how you look. 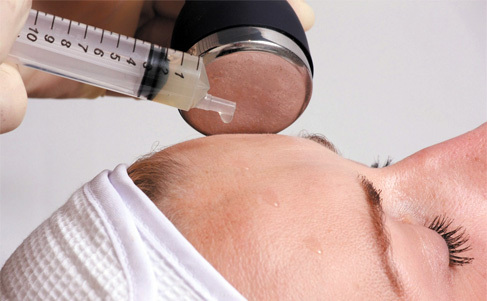 A very effective treatment for crow's feet, frown lines and brow lines. Treatments are delivered by a fully qualified registered nurse who has over thirty years experience and has undertaken specialist training in Harley Street in the administration of Botox and has also achieved the Masterclass certificate in aesthetic procedures. Working in partnership with some of the UK's leading plastic surgeons and other specialists in cosmetic clinical procedures, you can be assured of high quality clinical care in all matters related to your treatments. What qualifications does the practitioner have? With over thirty years practice and experience as a Registered General Nurse and Registered Nurse in Mental Health, the practitioner has undertaken additional specialist training in Harley Street London in the administration of wrinkle reduction injections and also with Q Med UK Ltd. She is approved to administer a range of the Restylane® products and works closely with Harley Aesthetics cosmetic consultants in London to provide high quality clinical joint care in the administration of wrinkle reduction treatments. She has also worked for some years in the clinical private sector gaining wide experience of clinical services out with the NHS. and has gained three related post graduate diplomas in that time. The practitioner is a member of the Royal College of Nursing. How will I know that I will receive high quality care? The Royal College of Nursing and the Nursing and Midwifery Council have set out clear standards of best practice in Aesthetics Nursing which underpin the quality of care you can expect. These standards are not limited to the points below but highlight the key areas. • Suitable evidence of competence will be available to clients. • A detailed medical assessment to ascertain your suitability for treatments. The practitioner may decline to offer treatment if there are clinical reasons for doing so. • A pre treatment photograph will be taken, with your consent, in order to provide a record for future reference. • An explanation of who will have access to your medical notes and how these will be stored. • Written consent for treatment signed by the client and the practitioner. • Pre treatment consultation which will include a full assessment of your expectations of treatment and the stated view of the practitioner of whether this may be realistic or perhaps more appropriately undertaken by another practitioner or professional. • A detailed explanation of the procedures to be undertaken and any possible complications. Written information should also be provided for your information. • The estimated likely cost and whether this includes the consultation appointment and follow up appointment. • Where the administration of a drug is indicated in the course of treatment proposed, a consultation with a suitably qualified specialist medical practitioner will take place in order to assess need and authorise the administration of a medicine. This may well be a remote telephone consultation depending on geography. • The client will be provided with written post treatment instructions and this will include a contact name and number. • Detailed records of all treatments will be stored in accordance with data protection legislation. You may have access to these if you so wish. • Follow up appointments will be offered to ensure efficacy of treatment and to ensure that the client is happy with the results and to monitor for any complications arising from treatments. • In the event of dissatisfaction, clients will be made aware of what procedures are in place if the practitioner cannot offer a mutually satisfactory solution to the issue. Depending on the product used, dermal fillers last between six and nine months. You can expect to see immediate results, although lips can swell a little more than other tissue and can take a few days to settle down. Wrinkle reduction injections take around 14 days to show the full effect of the relaxing of the treated muscles. It is important to attend the follow up appointment in order that the practitioner can gauge if any top up is required. Individual results may vary, but treatment can last between four to six months. What other treatments are on offer? The practitioner works closely with a range of other therapists and professionals and can recommend a wide range of other high quality services to meet your needs. She will discuss this with you at the consultation appointment if this is indicated or requested. Clinical Enhance's main practitioner is a registered nurse of some thirty years experience who has undertaken specialist training in the art and science of delivering a range of clinical anti aging treatments. The practitioner works closely with Harley Street cosmetic consultants - Harley Aesthetics and has trained in the administration of dermal fillers and wrinkle reduction injections. You can be assured of the highest standards of clinical care. Consultations are free and costs are inclusive of follow up appointments. Whether we agree with this or not, we all know that how we look affects how we feel about ourselves and how others perceive us. However, as we age, our skin loses elasticity and together with the damage caused by sun and simply by life in general, we start to show our age in many ways including those tell tale facial lines and wrinkles. Over time our skin also produces less hyaluronic acid, a key substance which plumps out skin and keeps us looking fresh young and healthy. Together with years of frowning and other facial muscle actions, those lines begin to become annoyingly obvious and can give us that "tired and worried" aging look we often do not recognise as "me" when we look in the mirror! What treatments help remove wrinkles? Dermal Fillers - You can reduce or even erase those lines and restore those lips! Dermal fillers such as Restylane® can rejuvenate the skin by "filling out" wrinkles and lines by plumping up facial tissues. This can effectively reduce those "nose to mouth" lines, chin "marionette" lines as well as "smokers lips" and thinning lips. Wrinkle Reduction Treatments - For a more relaxed looking you! Dynamic facial lines such as frown lines, crow's feet and brow lines which are caused by very active facial muscles can also be effectively treated by relaxing those muscles which cause the lines to form. Famously used world wide and now affordable for all, the procedure takes about 15 minutes to deliver small injections using very fine needles and the effects can last up to five months. Home visits can be arranged depending on location.